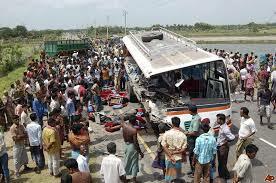 The main objective of this report is to analysis Road Accident in Bangladesh. General objectives of this reports are to identify the causes of Road Accident in our Society, to reveal the real picture by using TQM tools & techniques and to find out the ways for fighting against this problem. Finally this report make swot analysis Road Accident in Bangladesh.